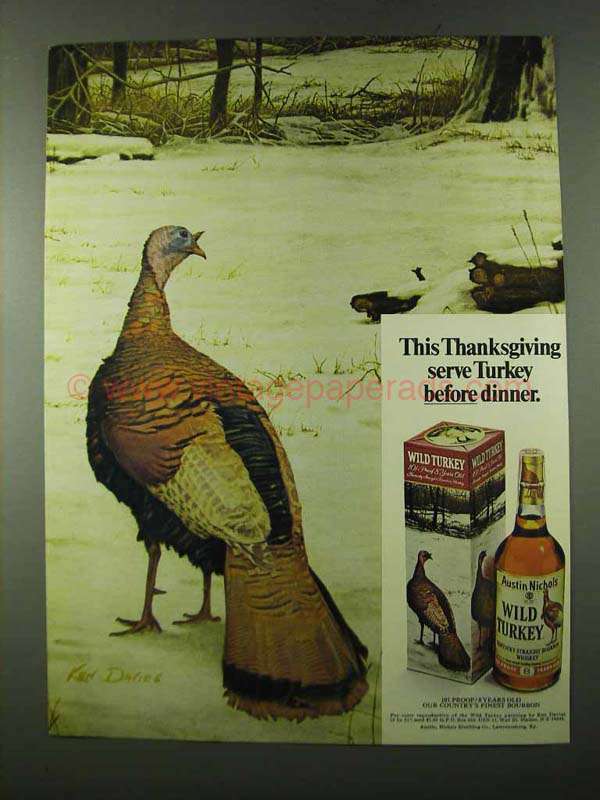 This is a 1972 ad for a Wild Turkey Bourbon with art by Ken Davies! The size of the ad is approximately 8.5x11inches. The caption for this ad is 'This Thanksgiving serve Turkey before dinner' The ad is in great condition. This vintage ad would look great framed and displayed! Add it to your collecction today! 1989 Wild Turkey Bourbon Ad - Suddenly everyone is discovering quality.